If there’s one thing we learned from the Bett Show 2018 in London last month, it’s that coding is now a mainstay. As the IT curriculum develops, many schools now encourage a deeper understanding of computers than those of previous generations. And it’s not just simple instructions or theoretical understanding. Kids are building games and tools with Scratch, Python and a variety of programs and languages! But why are these new skills so key? And what benefit do they bring to children (both now and in future)? The most obvious reason for kids to learn coding is that they’re likely to come across it often as they grow. Mechanisation means the job market is changing. Over 10 million people in the UK alone could see their job taken over by machines in 15 years. All kinds of careers from scientific research to marketing are going to benefit from computer science skills. Of course, there will still be plenty a computer cannot do (at least in the foreseeable future! ), but it doesn’t hurt to prepare. The social implications of having more coders goes beyond jobs. Computerisation allows for optimisation, change, innovation. Coders will help humanity to access better standards of living than ever before. Although different languages of code can look very different to each other, organisation is the underlying essential all code has in common. Learning to lay out code in a clear and readable way is much like perfecting handwriting. You want your work to be understandable and communicate your intentions effectively. After all, you’re giving instructions to a computer, not a person! Not to mention, on team projects you need to be able to clearly see what everyone is doing. 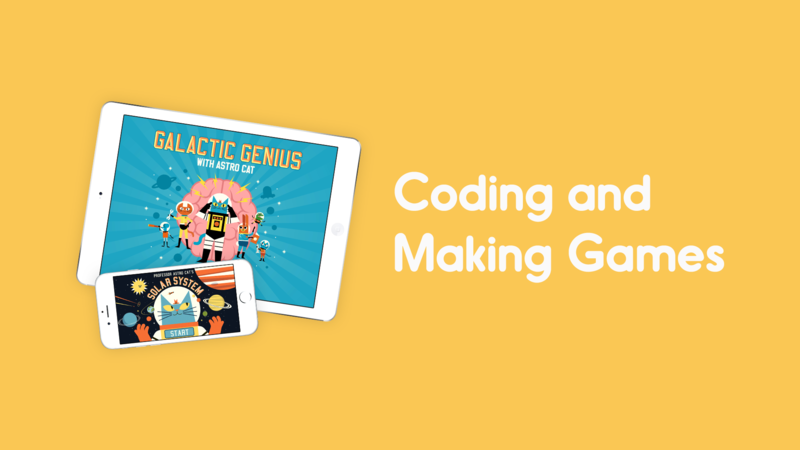 In this way, coding can teach kids about clarity, logic, and being considerate. Leading on from the last point, coding is usually done with a specific team goal in mind. A developer will be one of many talents working on a project: a game, website, or service. Being able to offer ideas and discuss potential issues will help kids to grow into effective communicators and team players. Here’s one that often surprises people: just as mathematics can be ‘creative’, so can coding. Code is used for building, inventing, thinking outside of the box, and solving problems. And not only is this creativity element practical – it’s also great fun! It’s a creative outlet that ties in experimentation, idea-generation and more – perfect for excitable kids who want to get stuck into projects quickly and easily. Plus, there’s no feeling like creating a game that’s completely unique and their own, rather than playing a ready-built one. Oh , and it’s not as messy as a paint palette! If you want to learn even more about how and why learning code is great for children, we’d recommend this article from iD Tech coding camps. And if you want to see what we build with our fantastic developers and artists: our apps can be found here.